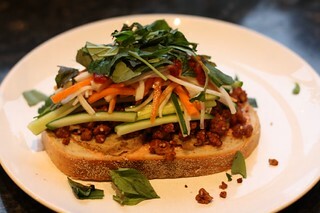 This entry was posted in 500 Vegan Recipes, Food Network Monthly Cookalong by efcliz. Bookmark the permalink. 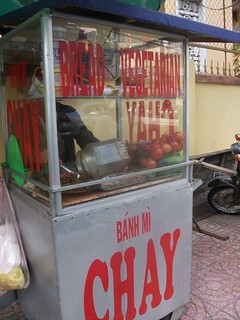 ooh Banh Mi — never tried it before but now i really want to!! thanks for sharing! That looks absolutely brilliant! I so want you to tackle the bread, too, so you can have the sandwich of your dreams whenever you want– and I can make it, too! 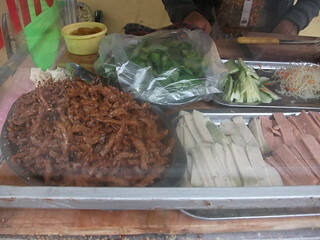 Oh, and I agree on the Sambal. On everything, all the time. Looks awesome! So bright and colourful! 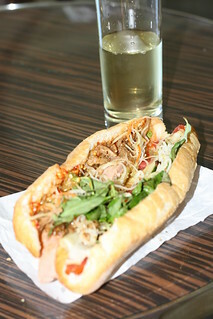 I love Bahn Mi too so I will have to give this one a go!